A customer asked me to do a presentation about AQ (Advanced Queuing). This article is a rewrite of that presentation. We’ll be getting some hands-on experience with AQ, and then some tips on the issues that might occur. As always, your comments to this article are more than welcome. If you enjoy this article, find it useful or maybe not at all, please let me know by leaving a comment on the site. The article is also available in PDF format from here. Queuing: I don’t want to queue. The title might be true in many cases, but there are also situations where a queue is very convenient. For example in the case of batch processing where a batch process handles multiple incoming messages from an online process. Or when 2 processes need inter-process communication, but still need to function independently of each other. In eBS we use queues for the workflow system. (Deferred items, notifications for the workflow mailer and the Business Event System). Some more queues are found for concurrent processing and SFM. So whether you like it or not, you’ll have to queue. The trick is to manage these queues to get optimal performance for your system. Before we can start building queues, there are some things to consider. AQ supports both point-to-point queues and publish-subscribe-queues (also called multi-consumer queues). Point-to-point queues are emptied by only one specific process. One or more processes can enqueue messages on the queue, but only one process can dequeue them. In contrast, a publish-subscribe queue can have many processes reading the messages in the queue. Either the messages are broadcasted, or the receivers have to subscribe to a certain kind of messages. Of course the publish-subscribe queue has some very interesting properties. But we’ll start our item with the point-to-point queue. So you’ll first have to decide who the senders and receivers of the queue data will be. In this article, we start with using a point-to-point queue. After that we start using multi-consumer queues. Another thing to consider is the payload of the message. Of course, the messages will need some content to give it a meaning to the receiver. This content is called the payload. And you can either use a custom type (including XML), or a raw type. During this article, we’ll see some more features of AQ. But when we decide on the type of queue and the payload type, we can build our own queues. All queues are built on queue-tables. These tables hold the data in the queue. On top of these tables, the actual queue and some management views are built. This created the base-table for a point-to-point queue. 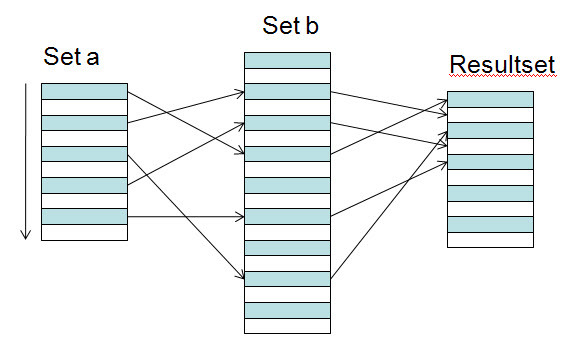 The table is a regular heap-oriented table. And you are free to create extra indexes on it, if you feel the urge. The necessary indexes have been created already. The queue that is created now is the default error queue. Messages that failed dequeuing will be set on this queue. Now it’s time to create the actual queue. The queue-tables are the infrastructure for storing the messages and related information. The queue can now be created to control the queuing and dequeuing of messages. This creates an object of type QUEUE. This is the object that will control the contents of the underlying tables / IOT’s. Our queue is now enabled for both queueing and dequeuing. Let’s first verify if things are working correctly. This enqueues a ‘Hello world!’ message, and returns the message id. If everything works correctly, you’ll see the msgid as a hexadecimal string. (Don’t forget to set serveroutput on). We created 2 extra parameters: v_enq_options with the options used to enqueue this message. And v_msg_properties to set additional information about the message. Visibility BINARY_INTEGER –Options are: dbms_aq.on_commit and dbms_aq.immediate. This indicates whether the enqueue is part of the current transaction, or done autonomously. Relative_msgid RAW(16) –If the message needs to be enqueued at a specific position, it will be relative to this msgid. Sequence_deviation BINARY_INTEGER –-Options are: DBMS_AQ.BEFORE, DBMS_AQ.TOP or NULL (default). If before then the message is before the relative_msgid. If top, the message will be the first to be dequeued. priority BINARY_INTEGER — Any integer, to set the priority. Smaller is higher priority. The default is 1.
delay BINARY_INTEGER — If the message needs to be delayed before it can be dequeued, set the time in seconds here. The default is dbms_aq.no_delay. expiration BINARY_INTEGER — For messages that need to expire after a certain time, set the expiration time in seconds. (Offset from the delay). The default is dbms_aq.never. correlation VARCHAR2(128) — A free text field that can be used to identify groups of messages. attempts BINARY_INTEGER — Number of failed attempts to dequeue, before the message will be failed and marked as expired. recipient_list DBMS_AQ.AQ$_RECIPIENT_LIST_T –- Only valid for multi-consumer queues. Sets the designated recipients. exception_queue VARCHAR2(51) — The exception queue to use, when it is not the default. state BINARY_INTEGER — Automatically maintained by AQ, to indicate the status of the message. Let’s see if the dequeue also works. For this the procedure dequeue is used, with similar parameters. This time, our message should be displayed. consumer_name VARCHAR2(30) — Indicates the consumer for multi-consumer queues. dequeue_mode BINARY_INTEGER –- How to dequeue the messages. Either leave it on the queue, or remove it. Either dbms_aq.browse and dbms_aq.remove (default). navigation BINARY_INTEGER –- Indicate where to start dequeuing. Dbms_aq.next_message (default), to continue from the previous dequeue. Dbms_aq.first_message to start at the top of the queue. Dbms_aq.next_transaction to skip the rest of this message group. visibility BINARY_INTEGER –- same as dbms_aq.enqueue_options_t.visibility. wait BINARY_INTEGER –- The time (in seconds) the package should wait if no message is available. Default is dbms_aq.forever. msgid RAW(16) — When specified, only the message with this msgid will be dequeued. correlation VARCHAR2(128) — Only messages with this correlation will be dequeued (may include wildcards). Note how message_properties and payload are now out-parameters. This is probably the simplest queue possible. We enqueued and dequeued a raw message. We didn’t specify the visibility. So your session still needs to commit these actions. Now let’s enqueue our message again, and see how it works behind the curtain. The queue table is an ordinary heap-table, so we can query it. We see our msgid again. A priority flag. A state flag, the time of enqueueing the message, and the user that enqueued the message. The message is also in the table, but since it is a blob, we won’t bother selecting from it yet. There are more columns in the table, that control the order and by who the messages are dequeued. Most of them are still null, so we will see them when needed. A useful alternative to the table is to query the queue-view aq$<table_name>. This will show the translated values of the state. (0 = READY). And especially when using multi-consumer queues, it will use a join to select a more complete picture of the queue. When we dequeue the message, it will disappear from the queue. (And be deleted from the queue table). However, this can be controlled by the retention parameter of the queue. Let’s set this parameter, so we can check the data after the dequeue. Now the message has been set to state ‘PROCESSED’, and some dequeue information has been added. It’s time to start navigating queues when there are multiple messages in the queue. Messages are by default dequeued in the order in which they are enqueued. On creation of the queue table, you can set other dequeue orders. But it is also possible to dequeue messages in a different order by navigating the queues, or using filter-criteria. To show the dequeueing order we enqueue 10 different messages. Now it’s time to look at queueing navigation. It is possible to dequeue specific messages from the queue. You can select messages with a specific msg_id, correlation or recipient_list (for mc-queueus). Note how we have to set the correlation back to NULL for the second dequeue. Otherwise we would be trying to dequeue a message with correlation ‘Corr5’ and the specified msg_id. Since that message does not exist, our procedure will just wait for the message to appear. By default when you dequeue from an empty queue, or try to dequeue a non-available message, the dequeue will wait indefinitely for a message to appear. You can control this behavior with the dequeue options. V_deq_options.wait := 10; — to wait 10 seconds. Any number of 0 or higher is allowed. V_deq_options.wait := dbms_aq.no_wait; — not waiting for the message. Do note that when the time-out is reached an ’ORA-25228: timeout in dequeue from <queue> while waiting for a message’ raised. So you will need to handle the exception. This removed only the 6th message from the queue, and left the others intact. There are more options to the queuing / dequeuing like retrying failed attempts (rollback after a dequeue is considered a failed attempt) and queuing with a delay or an expiration time. But I think the information so far will allow you to test these options on a need-by basis. Both ‘publish-subscribe’ and ‘multi-consumer’ are used for these queues. I think ‘multi-consumer’ is most often used informally. That will also be the one I will use in this article (even though ‘publish-subscribe’ is more accurate). Xxx_mc_test The queue table itself. As you can see, a lot more information is stored for multi-consumer queues. In part this information has to do with the subscription and subscriber mechanism. But there is also the need to keep a history of the dequeuing, to know when a message has been dequeued by all subscribers. We will be seeing the use of all the objects in a few minutes, when we start queuing and dequeuing messages. When we try to enqueue messages on this queue now, we receive an ORA-24033: no recipients for message. This means we need to set up subscribers first. If we enqueue without a recipient list, the message will be made available for all subscribers. To add a subscriber, we use the dbms_aqadm package and a new object_type: sys.aq$_agent. This type is defined as an object of name , address and protocol. The last 2 are used in inter-system communication only. Now to dequeue the message, we also need to set the consumer_name in the dequeue_options. When enqueuing a message without a subscriber_name, it can be dequeued by all subscribers. But on dequeueing, the subscriber needs to identify itself. And enqueue/dequeue a message again. Now when you look in xxx_mc_test or aq$xxx_mc_test, you will see the message being retained (with status ‘PROCESSED’). When you start the time_manager again, the message will disappear after some time. Here the basic information about our message is recorded. After a subscriber dequeues the message it’s version of the record is deleted only from this table (Please try this yourself, to confirm). The queue-monitors are responsible for cleaning up the queue-table after all subscribers have dequeued the message. Any messages that were enqueued already, won’t be available for this new subscriber. It can only dequeue messages enqueued after the subscriber was added. Also you can’t just change subscribers in an existing session. If you try, you will get an ORA-25242: Cannot change subscriber name from string to string without FIRST_MESSAGE option. As the message describes further, you need to change the navigation of the dequeue. The default navigation is next_message, which means that Oracle will read the queue in a read-consistent and ordered way. It will take a snapshot of the queue when the first message is dequeued, and will dequeue the messages in that order. Messages that were enqueued after the first dequeue, will be read after reading all the messages in the queue. Even if priority ordering means they are enqueued earlier. An alternative navigation is ‘first_message’. When the navigation is set to ‘first_message’, Oracle will take a new snapshot before every dequeue, and start with the first message eligible for dequeuing. Because we change subscribers, we need to set navigation to ‘First_message’, to force Oracle to take a new snapshot. However, the queue view reflects that the message has been dequeued by one subscriber. Now after the QMON has processed the queue, the records will be deleted from all queues. (When a retention time has been set, the records will of course be retained for that time). So far we have seen different kinds of filtering for dequeuing messages. A new option comes with multi-consumer queues, where different subscribers can put a filter on their subscriptions. These filters (rules) can take the form of (complex) predicates that return a Boolean value. The rule can reference both message_properties as payload. To reference the payload, use a qualifier of ‘tab.user_data’. Let’s build a new queue. To make optimal use of the ‘rule’-functionality we’ll use a custom type that can be referred to in the ‘rules’. The type that we’ll use is loosely based on the emp table. We add 2 subscribers to this queue. Note how the agent ‘HR_President’ has a rule added to its subscription. Only messages where the job attribute of the payload is ‘President’ are eligible for dequeuing by this agent. Let’s enqueue some messages on this queue. We see that both messages are enqueued for the ‘HR_Employee’. But only the message with the job ‘President’ is enqueued for the the ‘HR_President’. Let’s dequeue the messages as ‘HR_President’ first, then as ‘HR_Employee’. This time the first message enqueued was ignored for this subscriber. Only the message that met its rule was dequeued. When dequeuing as the ‘HR_Employee’ both messages will be dequeued. After these dequeues, the queue is empty for these subscribers. The only message eligible for ‘HR_President’ was the message with ‘2,King,President’. ‘HR_Employee’ was eligible for both messages. Remember that the ‘Rule’ must evaluate to a Boolean value. Valid references are to ‘tab.user_data.’, for object_type payloads. Also columns like ‘priority’ or ‘correlation’ from the message properties can be referenced in the rule. Above we already saw several error messages related to queues. Most of them can be expected, and should be handled in the code. The most common issues with queues are from queues not started, or not started for enqueuing or dequeuing. The error messages for this should be quite clear, and you can just start the queue with the ‘dbms_aqadm.start_queue’ package. Note that when the queue is started for enqueuing or dequeuing only, you need to stop it first, then start again with the correct options enabled. Another issue may occur because of the AQ error handling system. A dequeue with dequeue_mode ‘REMOVE’ that needs to roll back afterwards, is considered a failed attempt. When the number of failed attempts exceed the retry count of the queue, the message will be moved to the Exception queue. The message remains in the queue table, but with status 3: Expired. The exception_queue field will be set to the name of the exception queue. These messages are not available for dequeuing anymore. They must be dequeued from the exception queue. To dequeue from an exception queue, it first needs to be enabled for dequeuing. (It cannot be enabled for enqueuing). Also no subscriber_name is allowed for the dequeue. The last issue to note with queues (especially in eBS systems) is described in Metalink note 267137.1. If multi-consumer queues are created in an ASSM tablespace, or when using freelist groups, QMON will not perform space management on the IOT’s. This will result in ever growing IOT’s and eventually in deteriorating performance. 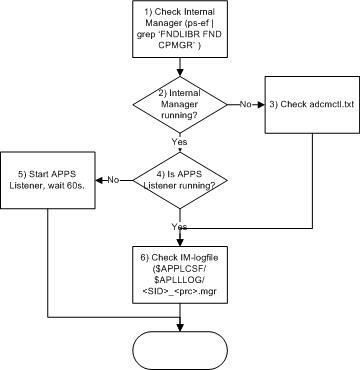 This entry was posted in Internals, Oracle, Scripts, Tutorials and tagged dbms_aq, dbms_aqadm, dequeue, eBS, enqueue, IOT, Oracle, payload, query, queue, queue table on March 21, 2010 by Arian Stijf. Then we ALWAYS have to remember that correlation is not the same as causation. This entry was posted in Uncategorized and tagged Oracle on July 28, 2009 by Arian Stijf.